This ceramic Irish blessing plaque features a Celtic knot-work border. This ceramic Irish blessing plaque features a Celtic knot-work border that is accented with a pearl glaze finish. This ceramic Irish blessing plaque features a border of embossed Celtic knot-work border along with pearl glaze accenting. This Irish blessing plaque honors grandparents and it is enhanced with shamrocks. This Irish blessing plaque explains the art of diplomacy and it is enhanced with shamrocks. 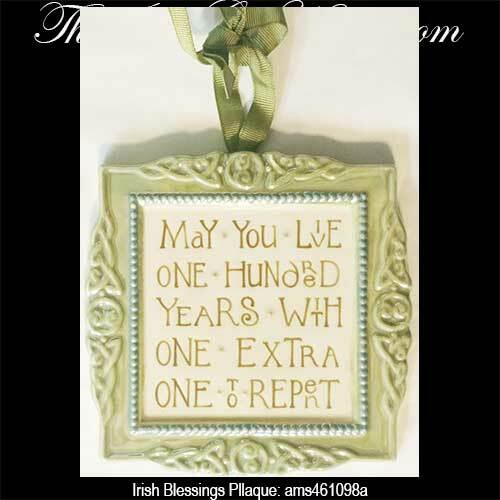 This Irish blessing plaque extols blarney and it is enhanced with shamrocks. 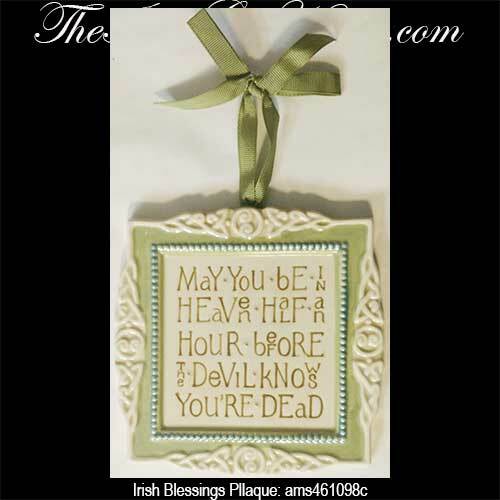 This Irish blessing plaque features a praise of freckles and it is enhanced with shamrocks. 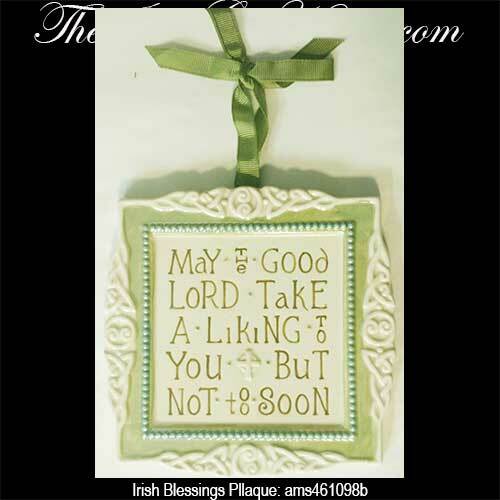 This Irish blessing plaque is for a son and it is enhanced with shamrocks.